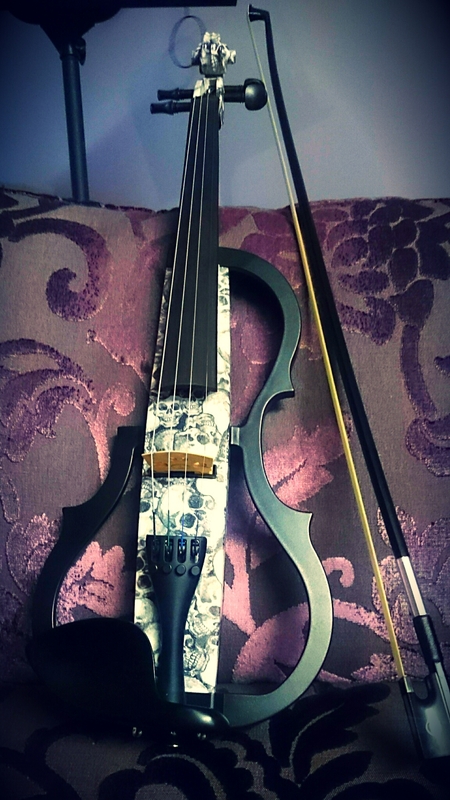 This entry was posted in discovery and tagged blog, invite, link, new, violin. That looks awesome! Is it electric as well? It is electric, I don’t know if you can see but it has skulls on the body :). I have a guitar strap that looks like that. I love the look!